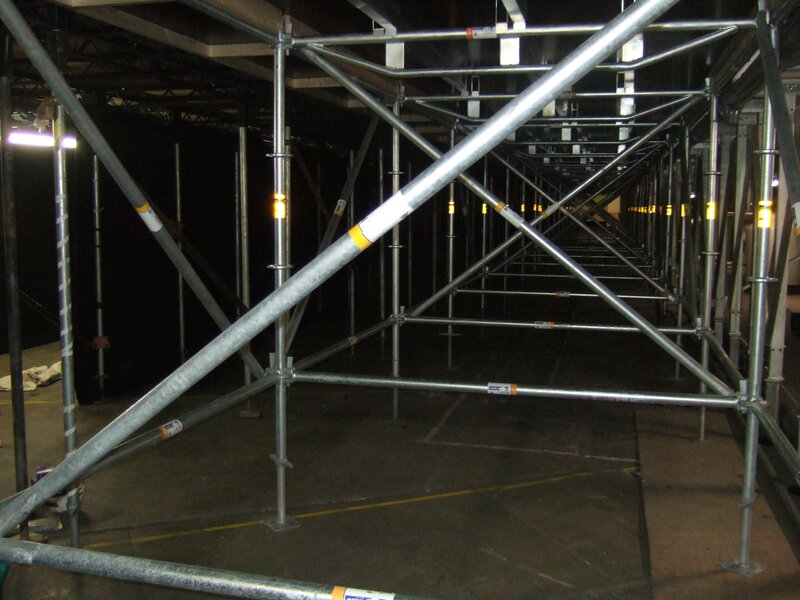 Concept Staging Ltd hold a high amount of Layher in stock and we are now using Layher more than traditional tube and fitting, as it becomes the industry leader because of its flexibility and durability. 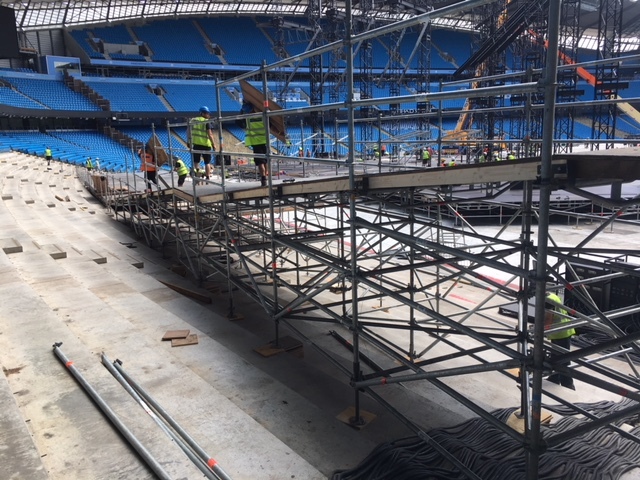 Layher combined with our own floor panels is the quickest and most efficient way of erecting scaffolding to suit all types of structure including raised dining areas and stage platforms. The speed of erection and dismantling due to the modularity and not using loose fittings enables us to provide our customers with a prompt and effective service. Our floor panels are made in antislip hexafloor, which are 18mm thick and can withstand loadings up to 750kg/m2. These floor panels can be used both indoors and outdoors. 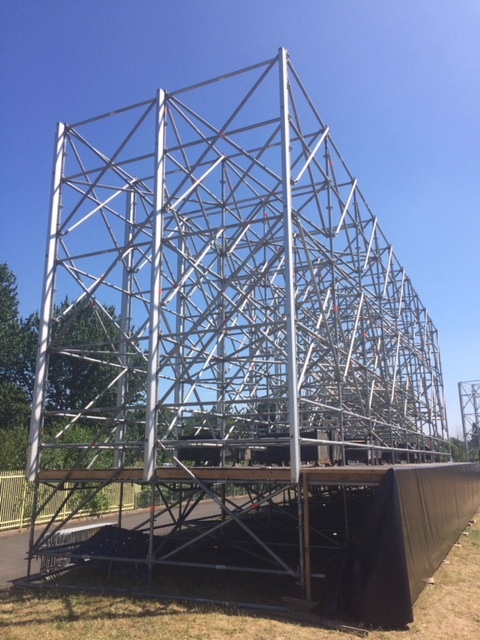 The overall system can be suited to any project or on site conditions and is designed with adaptability and safety in mind. Also we carry a large selection of handrails and staircases.